The Somerset Rider Equipment Fund, known as SREF, was formed in 2007 with the aim being to help the Somerset riders. We are a non-profit organisation with all monies raised going to help the team. SREF actively raise funds by holding a variety of social events throughout the year, as well as running the club track-shop, and are grateful to the help and support we receive from the Management and fans alike, enabling us help the riders. 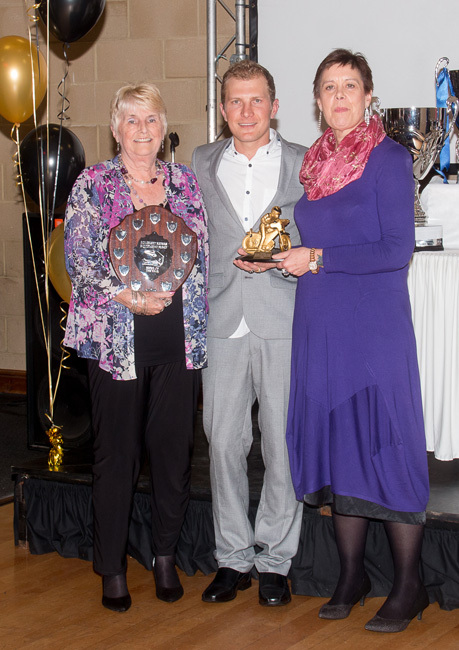 Di and Anita with Josh Grajczonek, SREF's 2016 Rider of the Year.